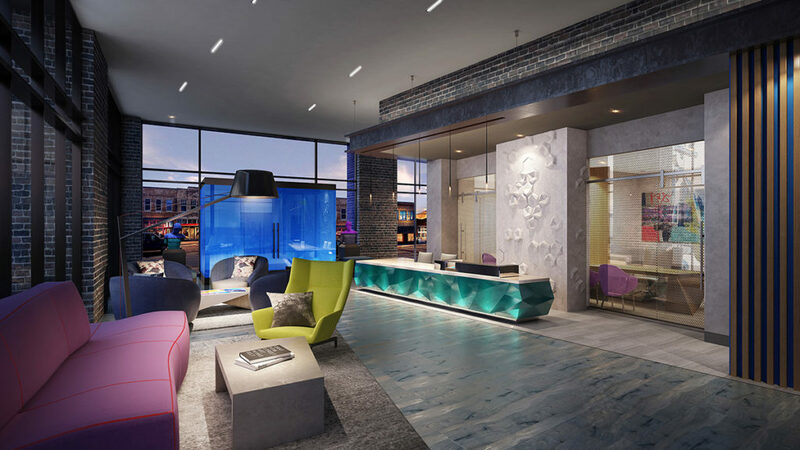 The Epic is part of a multi-use development located in the heart of Dallas’ Deep Ellum District. 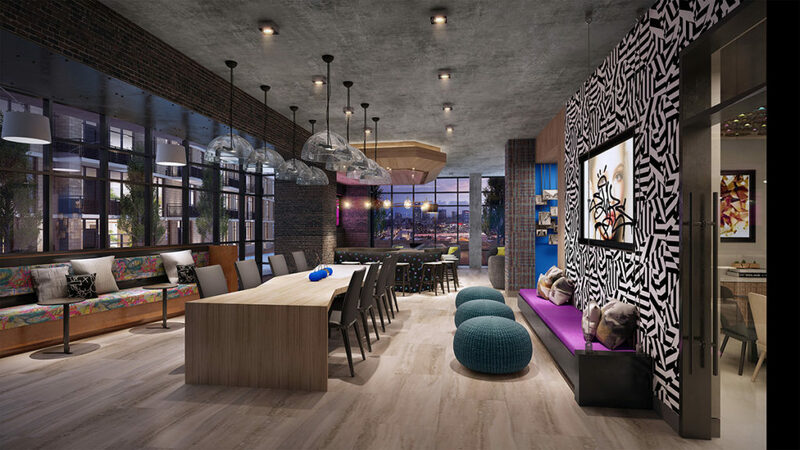 This property will attract clientele who appreciate the artistry and history of Dallas and wish to be connected to the energy and nightlife of Deep Ellum. Much like Deep Ellum itself, The Epic highlights a lifestyle driven by an appreciation for the Arts and individual expression. 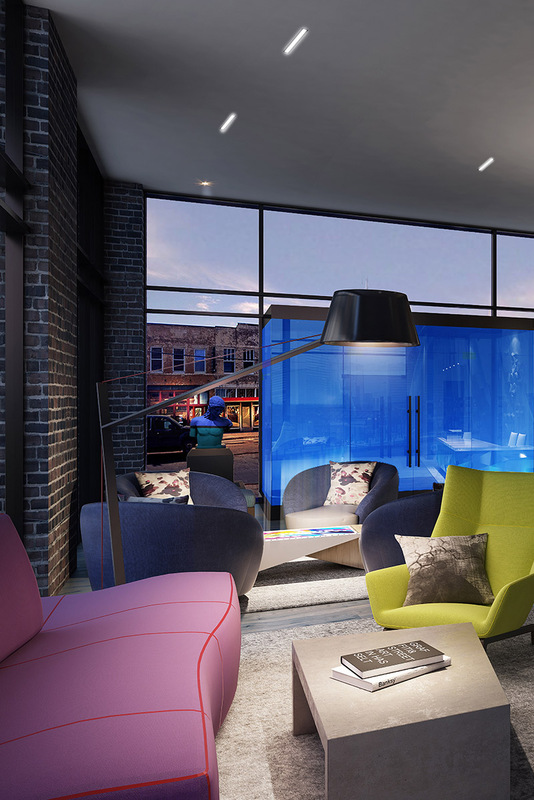 The design will capture the spirit and the energy of Deep Ellum with the use of vivid colors and architectural lines that draw individuals through spaces, leaving them with a constant sense wondering what’s to come. The use of brick, steel, and warm woods will complement the site and give the design a sense of place while bold art installations and unique furniture will provide unexpected moments of excitement. 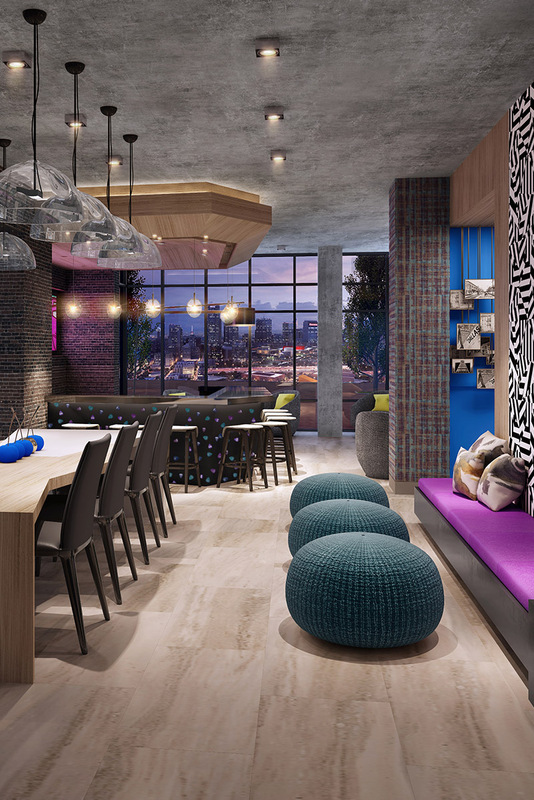 Artistic contributions by local artists will give a nod to the history and spirit of Deep Ellum, while at the same time making The Epic a unique destination for young professionals.